Before Christian Grey, Gideon Cross, and so many of today’s hottest and richest book boyfriends, most of the billionaires that I knew of came from the pages of Harlequin romances. Indeed, my love for alpha men and billionaire heroes came from a childhood spent devouring Mills and Boon paperbacks, and I think it’s the same for most readers my age (which I won’t tell). 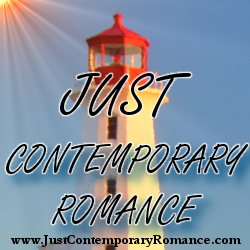 Now that 2014’s just started, I thought it would be pretty cool if I took you guys with me on a little walk down memory lane and introduce – or reintroduce – you to my favorite billionaire romances from Harlequin. Some of them may have been published before you were old enough to read or even before you were born, but even though they’ve been around for some time, the feel of their stories is timeless – it’s guaranteed to make you fall in love or stay in love when you read them. And so without further ado, here’s my list of Harlequin billionaire recommendations – they could make good additions to your reading challenge for 2014 or even just to your TBR pile. When Erica went to work in Venice she had never dreamed that she would end up by falling in love with the attractive, immensely rich Conte Filippo Rosetti. And Filippo's close friend Claudia Medina, it soon appeared, was going to see to it that it remained only a dream! Why I’m recommending it: I particularly love how the author made the 14-year age gap between the hero and heroine work. When Naomi's journalist sister asked her to infiltrate The Lair of the Dragon, Bran Llewellyn's private retreat, Naomi felt she couldn't refuse. But she hated the deception! She had to pose as Bran's new secretary, and soon discovered that the man, who was such an intriguing mystery to the newspapers, had been temporarily blinded in an accident. Worse, working so closely together meant that there was an undeniable attraction between them. Naomi's conscience told her that she couldn't keep her secret for much longer. And common sense chided that Bran's sight would eventually be restored. But if she revealed her deceit… She hadn't realized how easily she had fallen in love with Bran! P.S. The hero was more like a multimillionaire in this story, but hey, what’s one less zero when it still means you’d be living in the lap of luxury while being cherished by a man who loves you, right? Why I’m recommending it: There’s just something so irresistible about a beautiful man who hasn’t lost his domineering side even when life deals him a hard blow (in this case, the hero may be permanently blind). And when you’re done reading this book, I guarantee that you’d be on the lookout for another hot Welsh book boyfriend! Why I’m recommending it: First of all, I tend to recommend all of Sharon Kendrick’s books since she’s one of my favorite Harlequin authors. Her sheikh romances are especially good, and when you read this book you’ll want to book the next flight to the Middle East in hopes of finding a gorgeous and possessive sheikh of your own. Leah's marriage to powerful Greek businessman Nik Andreakis was an empty sham, and she was determined to get a divorce. But Nik didn't want one. In the circumstances, Leah found that totally unbelievable. Why would he want to hang on to a wife he'd been blackmailed into marrying! Leah's lonely wedding night had set the pattern for the past five years, but now she couldn't sleep for wondering what motivated her husband. Why, all of a sudden, was he making advances to her when he had ignored her for so long? Why I’m recommending it: Lynne Graham is my favorite among all Harlequin authors, and I openly admit that she’s my inspiration when writing my Greek Billionaire Romance serials. As for The Unfaithful Wife, it’s my favorite because I love the way the way the characters developed throughout the story. The heroine, Leah, started out as this shy love struck school girl and eventually matured into an independent-minded woman who would not let anyone make her feel unworthy – even if that person’s her husband and the man she’s loved since she was young. As for Nik, the hero, I loved how he, well, groveled in this story. Graham succeeded in making him keep his macho side while he did what he could to get his wife back. And so there it is – my short list of billionaire romances that I’m sure fans of 50 Shades and Crossfire series would no doubt love. 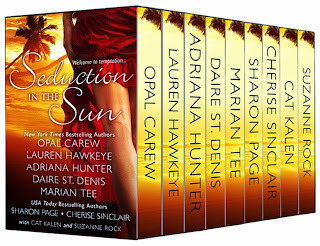 Oh, and if you’re looking for more billionaire heroes to swoon for and getaway romances to sweep you away from reality, I also suggest you check out Seduction in the Sun, a newly released 9-book bundle that’s on sale for $.99 for a limited time only. I’ve set up a quick giveaway below if you’d like to win an eBook copy of Seduction in the Sun. Thanks Maureen for having me here, and thank you readers for your time! Marian Tee is a Filipino-Chinese author from the Philippines. She’s a frustrated mangaka, is addicted to horror flicks, misses hip hop dancing, and loves all things Japanese. The third book in her Greek Billionaire Romance serials, The Art of Loving a Greek Billionaire, is slated to come out this month. More information about her latest books is available on her website. Ive always loved Harlequin romances too!!! That used to be all I read!